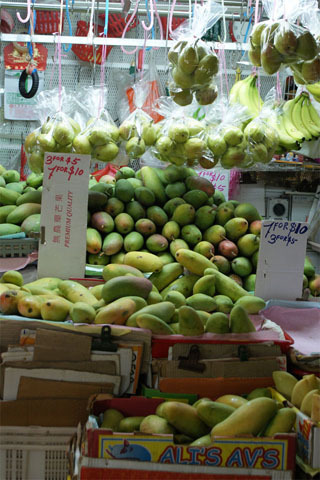 Follow your nose into this bustling indoor market just off Serangoon Road. The ground floor is half wet market and half hawker centre, so you can feast on Indian food like rich curries, dosai and briyani rice, or buy the ingredients to make them yourself. The produce from Tekka Centre is known for being extremely fresh and extremely cheap, so this is the time to splurge on luscious Indian mangoes or still-wriggling crabs. The second level is reserved for inedibles and the colourful saris and antiques make great souvenirs. The market was fully renovated in 2009 so you can expect clean bathrooms, air-con and escalators.